The pop culture recycles motifs and characters over and over again whether we like it or not. For me, Conan the Barbarian will always look like Arnie even tho Jason Momoa is so much more handsome. Frank Langella seems to me a better Dracula than Gary Oldman even tho I liked the refined, dandy-like look of Oldman, with a slight touch of modernity and an attempt to deepen the old vampire story. So whats’s about the new Popeye? Sony Pictures Animations plans a new reincarnation of the sailor to appear in the movie theaters in 2016 and now they are teasing us with some pieces of news. As it seems, the new Popeye won’t have a pipe (definitely understandable! 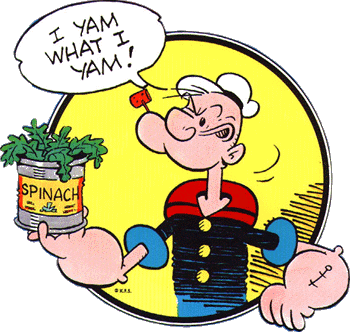 ), he won’t chomp on spinach (altho it might change as veggies are trendy more than ever) and so far he doesn’t have his trademark anchor tattoos which is very hard to explain.